WordPress is the number one option for bloggers because it’s free and simple. But with open-source software, there’s usually a risk involved in being vulnerable to cyber-attacks, which is why most people put the security of their websites as a top priority. The fact is that cyber-security is your own responsibility. That’s why you can’t blame it on WordPress if something does happen. This article will get you through some of the best ways to make your WordPress blog as safe as humanly possible from malicious attacks. Plugins are the great way for hackers to access your site, so the fewer you have them – the fewer chances they’ll have at it. Use only the necessary plugins that you really need. Most people completely relax and install everything that seems half-decent, which not only jeopardizes their blog but also takes a heavy toll when it comes to website speed – thus also user experience. I often see people installing everything left and right as if they’re in a supermarket throwing things in their shopping cart. Consider if you really need that plugin and how it’s going to help your website, and only if it passes this check you can go on and install it. I know, there are many articles out there convincing you that error messages are your friends. And when it comes to coding they might be, but when you’re running a WordPress website it’s important to prevent any weak spots in advance. The thing is, while error messages might be helpful at times, they also show your server path, which is exactly what the hackers are after. This can occur through a plugin error, or a theme error, but the result is the same – your security is at risk. This is why it might be a better idea to disable the error messages completely. Having an SSL certificate is one of the best ways to make sure that the data between the website and the users stay secret. Hackers will have a difficult time breaching through its defenses, so it should be a no-brainer for anyone looking to improve their website security. This is also why most of the IT support experts like Picnet Company, who are in the business of cyber-security among other things, recommend switching from HTTP to HTTPS (the extra S stands for Secure, so go figure). And here’s a guide just in case you were wondering how to add an SSL certificate to your WordPress website. The biggest problem with running your website on an older version of WordPress is that changes have already been announced it’s including fixes for weak security points. Yep, this means that all the cracks in overall security are common knowledge and websites. These are still running an older version are at much higher risk than those who updated it instantaneously. If you can’t be bothered to check for updates manually, you really should consider using automatic updates for your WordPress blog. This will spare you the headaches and nerves, especially if you’re not logging into the website on daily basis, so you’re not around then the Update notification pops out. One of the most common ways hackers do their magic is by searching for information. If you leave your WordPress preferences as per default, it’ll be quite easy for anyone to find out administrator’s username. Any free information third-parties can get about you or your website increases the risk exponentially so it might be a good idea to use a plugin that will remove all this data. Today, WordPress is by far the most popular CMS out there, which also makes it the biggest target for anyone dealing with black-hat techniques. Cyber-security is no longer something. You can afford to ignore a crackdown on your site. It might cost you way more than what little you’ll invest in it. If you follow the tips we highlighted, you’ll lower the risk of your WordPress blog falling prey to hackers. This is a Guest Post of Black Davies. He is a marketing consultant and a blogger on several prominent online publications. He is also the new managing editor of Mediagurus. hacked down and people are losing all the work they have done here. Using various amount of plugins do slow our web sites as well as they also increase the threat of getting hacked. 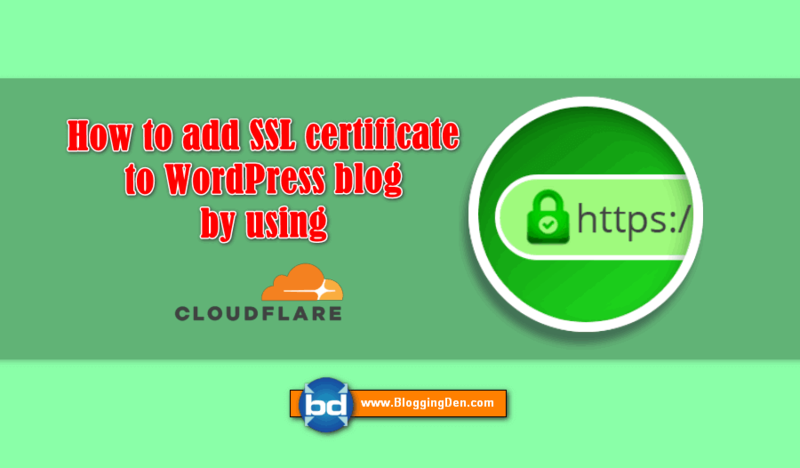 Switching SSL certificate is must for every wordpress web site. They are quite helpful in protecting our web site. This article really help me thanx.